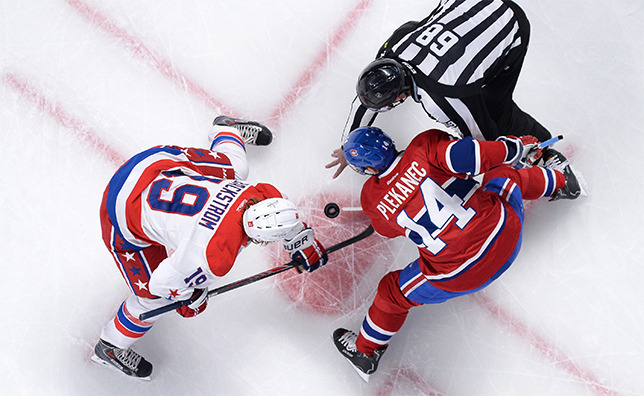 BROSSARD – While playing back-to-back afternoon games over Super Bowl weekend might be something some teams frown upon, the Canadiens are wholeheartedly embracing the opportunity to mix things up a little. On Saturday, Michel Therrien’s troops will entertain the Washington Capitals at 1 p.m. EST before battling the Arizona Coyotes at the same time on Sunday. It will mark the 24th time in team history that the Canadiens will contest two games in as many days ahead of the NFL’s biggest event of the year. The Habs boast an 11-8-3-1 record in the opening game of the weekend set, and a 13-9-1-0 record in the second. That was the clear consensus inside the Canadiens’ locker room as the club wrapped up practice on Friday afternoon at the Bell Sports Complex, looking to extend their current winning streak to five straight games. Like his players, Therrien admits that while scenarios like these can be somewhat uncomfortable, it’s ultimately a level playing field for all involved. The Capitals, however, will undoubtedly be looking to spoil what should be a festive atmosphere on Saturday afternoon. Barry Trotz’s contingent snapped a four-game losing streak with a 4-0 win over the Pittsburgh Penguins on Wednesday night at the Verizon Center, and they enter the game having won the last seven meetings with the Canadiens in front of the Bell Centre faithful dating back to March 2011 – four by way of a shutout. They’ll also have to stymie the likes of Alex Ovechkin, who took over the top spot in the league in goals with his 28th and 29th markers of the year in the win over Pittsburgh.